Three unknown males entered the Global Gas Station on Glen Cove Road on Friday, January 4 and took cash and merchandise. 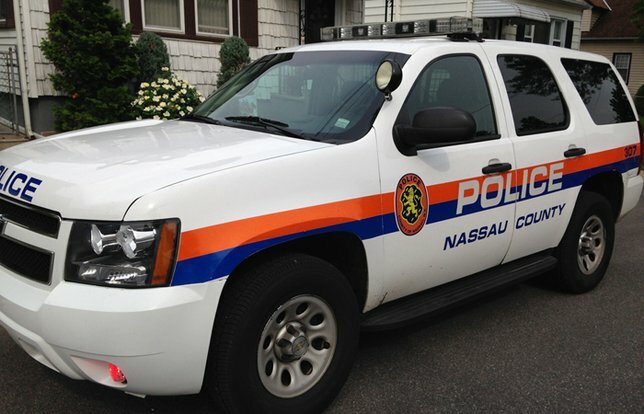 NCPD reports a Robbery that occurred in Glen Head. Glen Head, NY - January 7, 2019 - The Third Squad reports the details of a Robbery that occurred on Friday, January 4, 2019 at 10:39 p.m. in Glen Head. According to detectives, three unknown males entered the Global Gas Station on Glen Cove Rd. with their faces covered. One subject displayed a handgun and ordered an employee to open the register. They then removed an undisclosed amount of currency and assorted merchandise. They the exited the store and fled southbound on Route 107 towards Glen Cove Rd. on foot. The victim was not injured. All three subjects were wearing all black clothing with black hooded sweatshirts and black masks. No further description is available. Detectives request anyone with information regarding this crime contact Crime Stoppers at 1-800-244-TIPS. All callers will remain anonymous. Subject: LongIsland.com - Your Name sent you Article details of "Cops: Three Suspects Sought in Connection with Armed Robbery of Glen Head Gas Station"